Let’s continue looking at the 3.2 Carrera and again here we will look at one that comes in a wonderful light metallic paint. 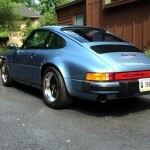 In this case we have an Iris Blue Metallic 1985 Porsche 911 Carrera Coupe, located in Indiana, with 48,908 miles on it. While many of my recent posts of a 911SC or 3.2 Carrera have been concerned with searching for reasonable value this one surely will straddle a middle ground. 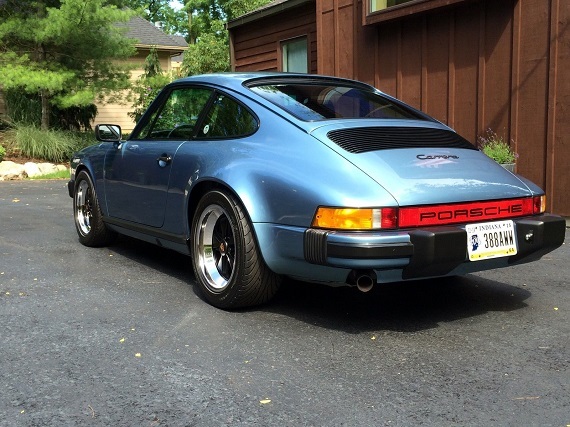 As a pre-G50 Carrera this one at least comes from one of the model years where value typically resides, but having traveled fewer than 50K miles it should garner plenty of attention. A mileage premium, of course, is much tougher to deal with as it can restrict one’s ability to enjoy such a fine car and as such many would exclude a car like this one from consideration. At least amongst those trying to balance value with pleasure. 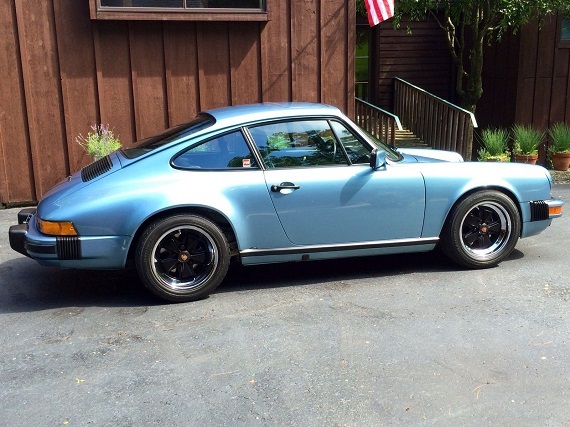 For others, who would view this 911 as a potential investment it has a lot to offer and perhaps might even be had without having to reach too deeply into one’s pockets. That’s more or less where the 3.2 Carrera resides these days. Excellent examples command serious attention, but there will always be a few out there that provide a nice balance of attractiveness, performance, and reasonable cost. 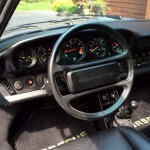 It’s time to go, for sale is my 1985 Porsche 911 Carrera coupe. I’ve owned her for the past 9 years and it been an amazing car. As you can see from the photos the car is in pristine condition, I took delivery of the the car this way almost 10 years ago and made certain that it stayed that way. 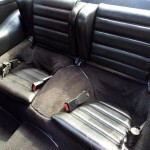 Of course the paint has a few blemishes that are normal for a car 30 years old but overall the condition of the paint, rubber, glass and interior are in in amazing condition. I look and compare all 911’s I see that were produced during this period, and I can honestly say I have not seen a better preserved original example. The only negative blemish on the car is on the lower right hand corner under the bumper about the size of a golf ball. I purchased the car like this and never bothered to get it rubbed out due to the fact that if it wasn’t pointed out you wouldn’t notice it. The tires have 1000 miles on them and the wheels are absent of curb rash. Incredible glossy rare original Iris Blue paint and the rest of the vehicle is mechanically sound. Enough about Carrera values, let’s get to the specific 911 here because it looks fantastic! We generally expect low-mileage cars to present very well and this one doesn’t disappoint, but we must still consider that, low mileage or not, maintaining a car’s appearance over the course of 30 years requires a good deal of care so it is always a plus when one presents as we would hope. I particularly like the black Fuchs as they provide a nice contrast with the Iris Blue exterior. 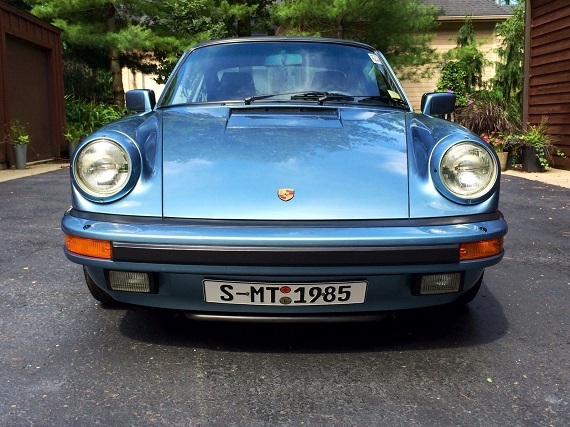 We’ve shown a few Iris Blue 911s over the years and this one really stands out even among the others. We’re still somewhat early in the auction and bidding currently sits at $26,244. This 1985 Carrera Targa, which we featured last week, was bid up to $50K so that gives us some idea of what a low-mileage Carrera can reach. Whether this Coupe also reaches those sorts of heights remains to be seen, but it’s clear that low-mileage, well-maintained, examples are fetching pretty high prices. Tagged 1985, 3.2 Carrera, 911, air cooled, Porsche. 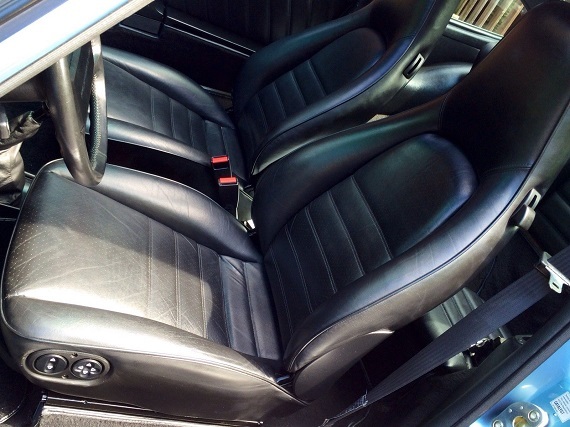 If the Targa last week hit $50,00 this car is worth every penny of the same bid or more. This look sot be a very nice example in a nice color. Looks like the owner spent time detailing the wheel wells for fun. 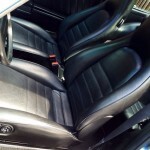 Any car that will bid up to $50,000 should have a pre-purchase inspection no matter how clean it looks in picture. With that said this looks to be a very nice car. 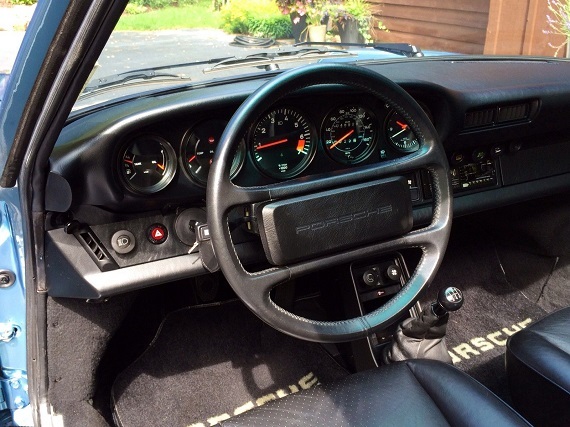 $50,000 for an ’85 Targa makes me giddy as my `87 Targa must be worth as much. Unfortunately the “bidding” on eBay is often pretty phony. I seriously doubt that the targa from last week really sold at $50k and I don’t think the market for this car is at $50k either. 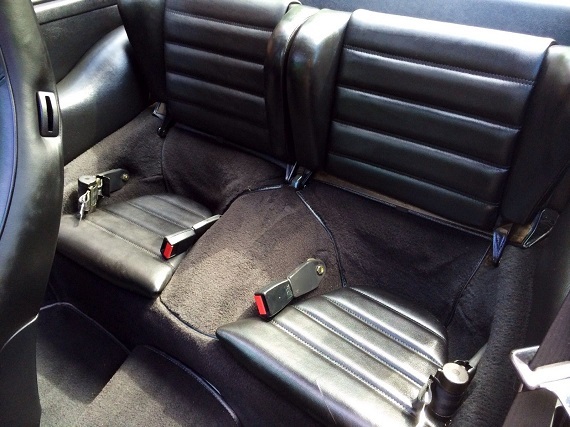 More likely these are high $30’s low $40’s cars. 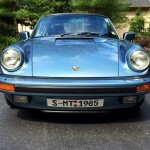 I have an 88 Targa in pristine condition with a fully documented history and lots of extras. I have it out on the net at a high price, I have also shopped it around in the market and I am not seeing $50k offers from any real buyers. 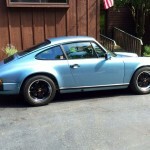 Prices have leveled off on air-cooled cars in the last month or two. They’re not going down but what you are seeing now is a lot of cars unsold at very high offering prices. We’re also seeing a lot of decent to good cars come out of the wood work and being offered at high end prices where they’re not selling. Look at the recent auctions on BAT, they’re real auctions unlike the bs that goes on with the eBay auctions. Prices there are a much much better reflection of the market.